In celebration of their 3rd birthday, Scrappin' Love invited us to their party at ET Artisan Sweets (loacted at the Grandstand) where we will be doing some scrapbooking! I really enjoy doing scrapbooking at my own time but I'm an amateur as compared to the real pros! 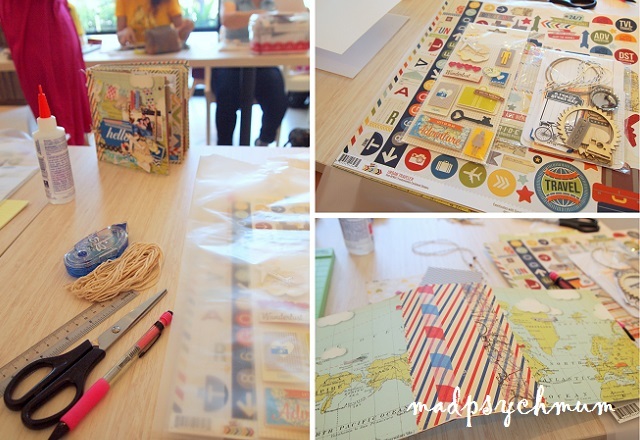 For this lesson, we were supposed to make the above Travel Theme Mini Album using the materials below. If you're like me and would like to get started on scrapping but don't know where or when to start, great news! Scrappin' Love is offering a one-time 50% discount off a Scrappin' Love class or customize order for ONE reader of this blog! Simply leave a comment on this post with your email address on why you like travelling! 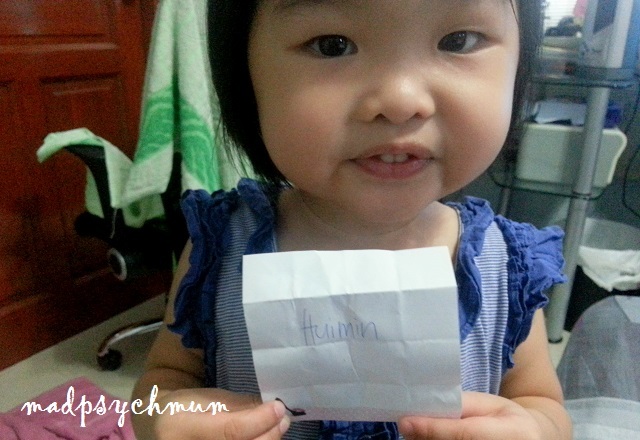 Giveaway ends on 7 August 2013 (Wed) and is only open to readers living in Singapore. The winner will be drawn randomly. Sorry for the delay, we've finally picked the winner the usual way by drawing from a bag..
Disclosure: An invitation to this event and complimentary materials were received from Scrappin' Love for the purposes of this review and giveaway. No monetary compensation was received; all opinions are my own.